Morning half was spent trying to learn more techniques of weaving with bamboo. 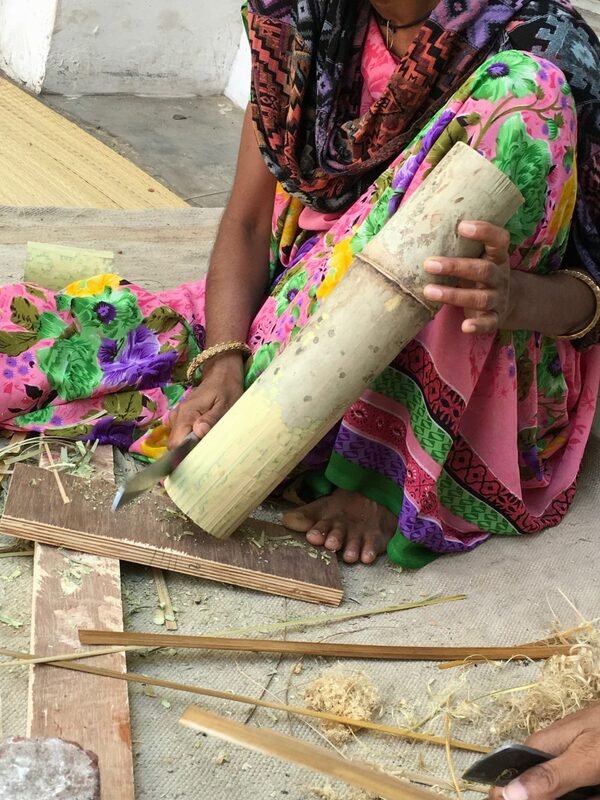 Practice was done with dry bamboo strips, while the fresh bamboo was brought in later for the actual final products to attain better quality in use and finish. Fresh bamboo has more natural moisture which help make the sliced up strips more flexible and better to work with, giving it a better and whiter finish. Bamboo strips were sliced from two different sides of the stick. The side for smaller jewellery and the the front broader for sturdier forms like baskets/ lampshade.